but theres a cost to benefit ratio, its fairly easy to increase stock head flow rates in the 5%-10% range but if your looking at spending several hundred dollars in port work and if your looking for major improvements your generally better off selecting aftermarket heads with larger and far better designed ports than sinking a ton of time and money in stock heads, that in many cases your eventually replace. 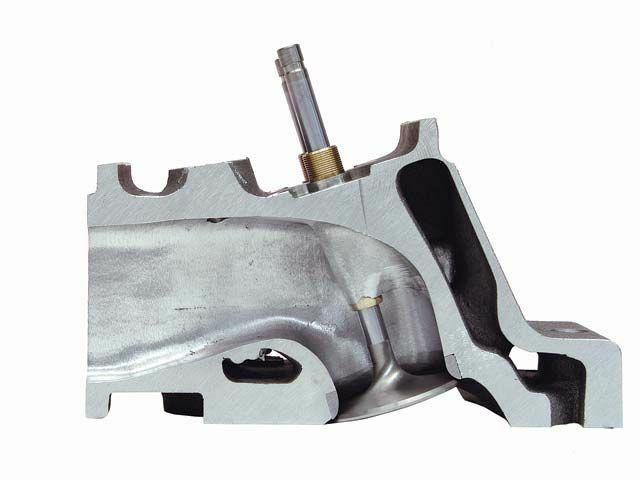 port throats generally run 80%-85% of total valve diameter because you need to maintain sufficient valve seat contact area to allow sealing and cooling and some wear during operation. 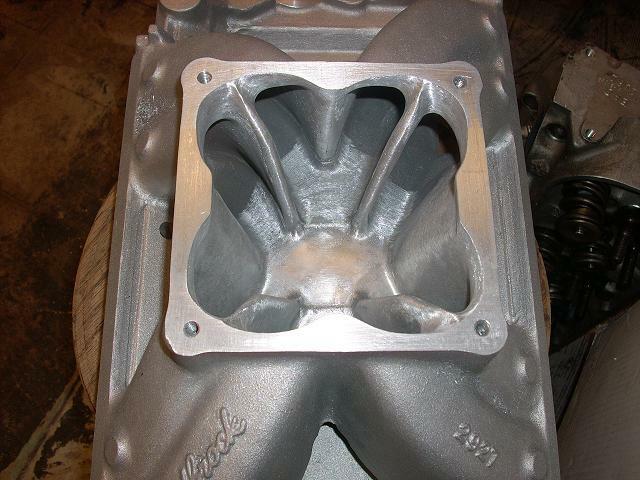 theres also lots of guys who find that the intake manifolds available for the application they have, are rather restrictive, especially for some of the less popular engines like Cadillac, or Pontiac engines Ive worked with in the past, or if the intake designs available are mostly for non-racing applications. 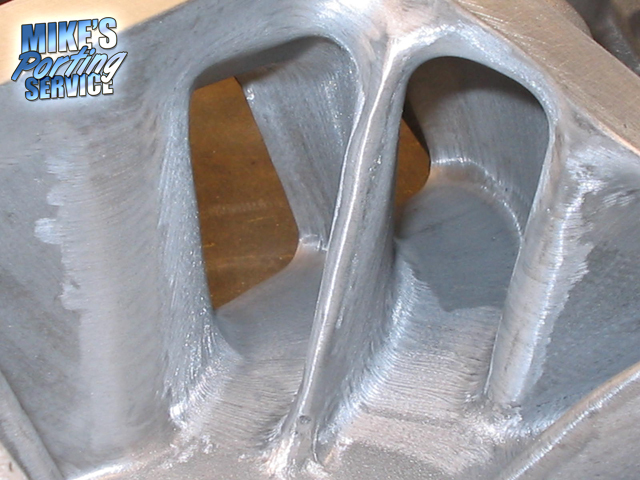 runners can be too small in cross sectional area, and aftermarket parts can be non-existent and theres not always enough material in all intake runner designs to allow porting them to a significantly larger port size without having made the gasket sealing area to thin to seal properly. 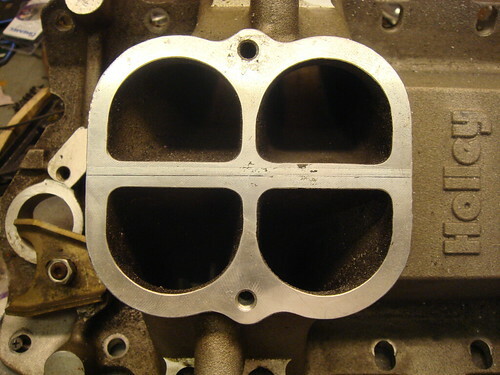 this does not necessarily mean you have zero options, in many cases a quality machine shop can tig weld extra aluminum on the intake in critical areas to allow you to port the runners larger and then they can reface the gasket sealing area thus allowing you to significantly increase the intake runners cross sectional area. (10) remove and smooth away all casting flash , keep the floor of the port slightly rough but the roof and walls smoothed but not polished. I have been working (very slowly) on porting a set of AFR 195 street heads for use on my 383 build. I debated whether or not to even touch the heads for a long time before I decided to give it a try. I talked to many experienced porters, including Tony Mamo of AFR, to get an idea of where I might find some improvements. Tony didn't exactly encourage me to get wild and crazy with the grinder, but at the same time he was very helpful and did tell me about areas I should try to avoid. The heads in stock form are works of art, but I noticed that there are a few places where the CNC cutter paths intersect inside the port where I felt that some blending might yield an improvement. I also did some reshaping in other areas but the changes were pretty minor. Here are some before and after pictures, and the flow results vs. the advertised numbers are below the pictures. 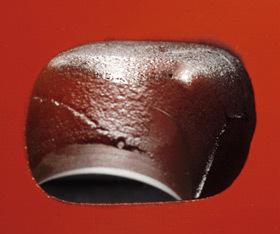 Areas to avoid: Do NOT remove any material from the bulge in the intake ports around the head bolt hole. Here are a picture that shows the area and what happens if you try and grind on it. I had to have a sleeve installed. 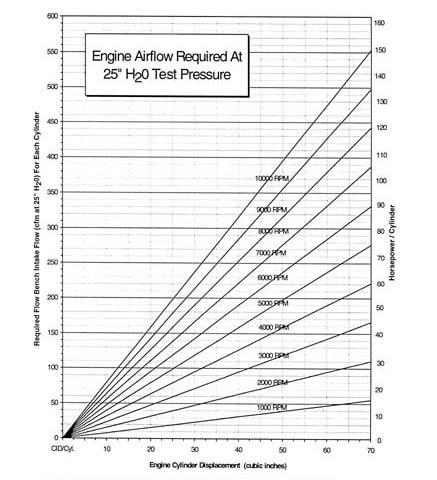 My flow numbers were obtained using a radiused inlet, a 4.03 bore adapter, and no adapter (no pipe) on the exhaust. I show my results and the difference to the AFR advertised numbers. I do not know all the particulars of the flow test setup for the AFR results as posted on their website, so this may not be a true apples-to-apples comparison. Also, please note that I did not obtain "before" numbers. This would make the data more meaningful and technically accurate but it was not practical for me to obtain the data at the time I started work on the heads. All in all, I'm quite pleased with the way this turned out, particularly the intake. I do show a small deficit on the exhaust but the AFR results were obtained using an adapter pipe (which increases the numbers) so I'm probably right in the ballpark. If I had to do this all over again knowing what the results would be, I'm not sure that I would choose to do so. I have a TON of time in these heads and I can't honestly say at this point that the gains are worth all the time spent. 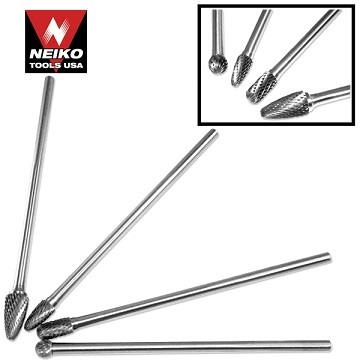 I'm sure that someone with a lot more porting experience than me could probably find some additional gains, but I think that for most people considering these heads they would probably be better off just bolting them on. 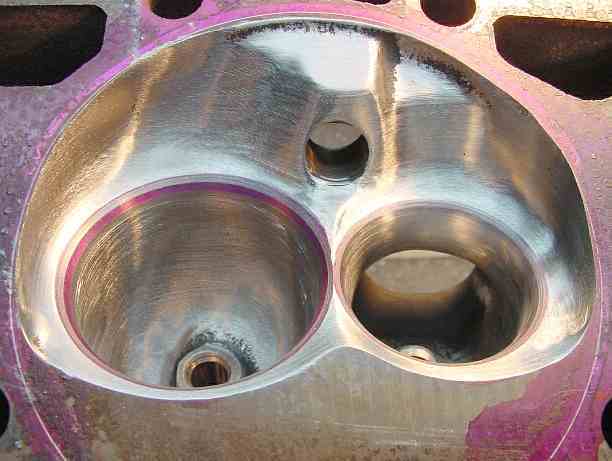 I will be using a heavily ported FIRST intake with these heads, and I plan to re-flow with the intake and runner. At that time, I may reflow the heads by themselves with a pipe on the exhaust. something that runs on compressed air will be best but electric can be used, a 2" long shank and a 1/2" egg shaped burr will do most work. 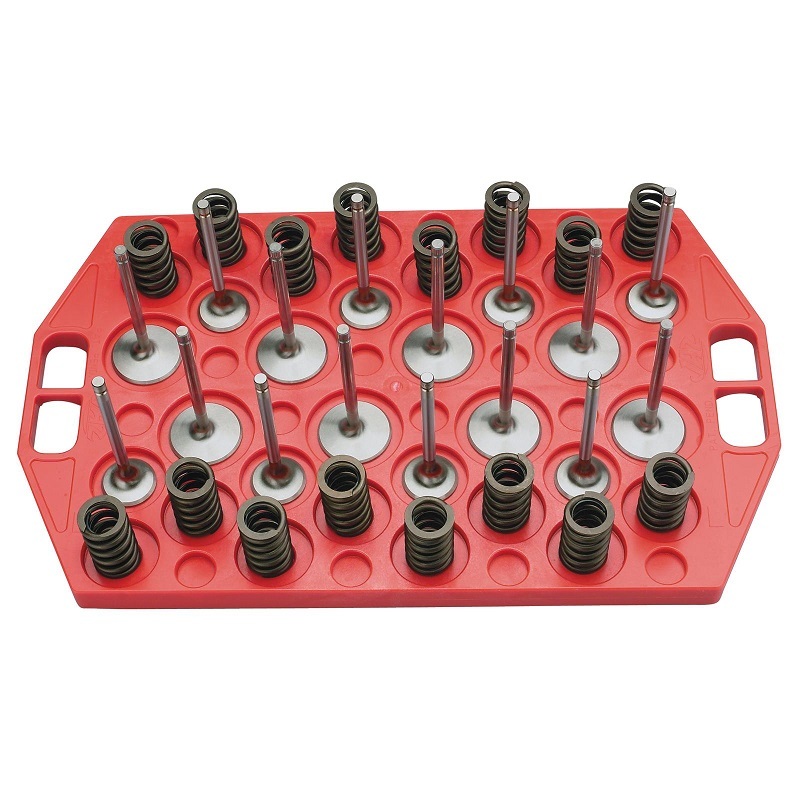 youll also need a valve spring compressor. 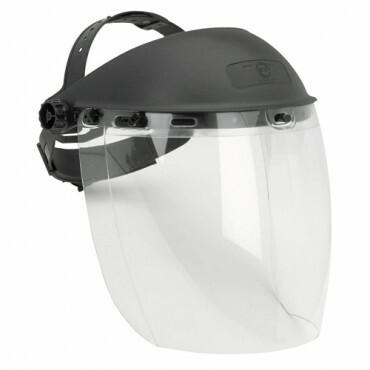 ok the object is NOT to remove a great deal of metal or enlarge the port size. 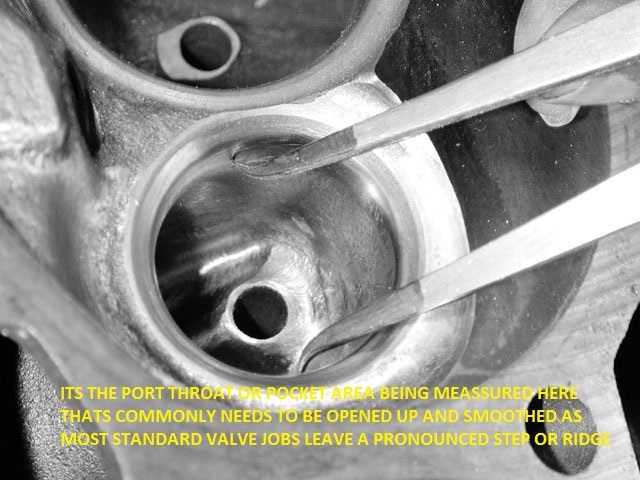 you'll want to smooth the area in the port throat under the head of the valve and narrow the cast boss surrounding the valve guide without significantly shortening it, open the intake port to match the intake gaskets, the object IS more TO REDUCE RESTRICTION TO FLOW, smooth the port surface, blend the edges, remove obvious ridges and casting flash, but polishing it can be counter productive. you might have somehow gotten the IN-CORRECT idea that the valve center-line and CYLINDER center-line are exactly matched in a sbc, they are NOT! 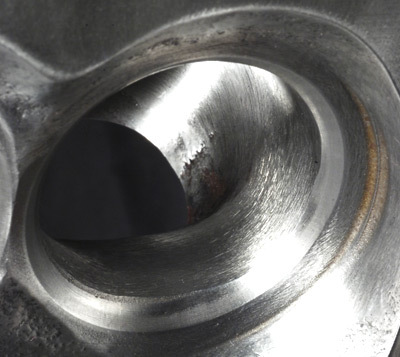 plus the valves are angled at a 23 degree angle so the outer valve edges close to the cylinder walls do not drop strait down into the bore as the valves open at the point of the cylinders largest diam. moving the head center-line to move the valve center- line to maximize flow at max valve lift potentially helps performance. great pics, really nice work there! makes me really excited to get back to porting. your info is really helpful too. 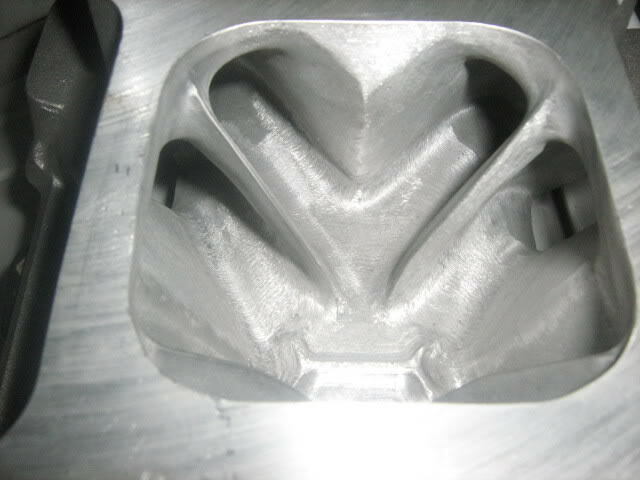 combustion chamber surface finish should be smooth to promote heat retention in the combustion chamber and help prevent detonation hot spots that sharp edges and rough surfaces can provide, intake ports are a different deal! the roof of the intake port in most cases sees far higher air speeds than the walls and floor areas, polishing, smoothing and blending the roof of the port rarely hurts and frequently helps, the lower air flow rates on the port floors and walls can frequently benefit from a slight texture as it promotes surface turbulence that tends to keep fuel in suspension in the air flow rather than forming a liquid coating of fuel that drops out of suspension. you don,t need a mirror smooth port surface and you don,t want the floor extra rough, as that can restrict flow. I read that last night after I PM'd you "good reading"
do you have any advice for the valve seats? is there a simple way to protect them so I dont nick them? 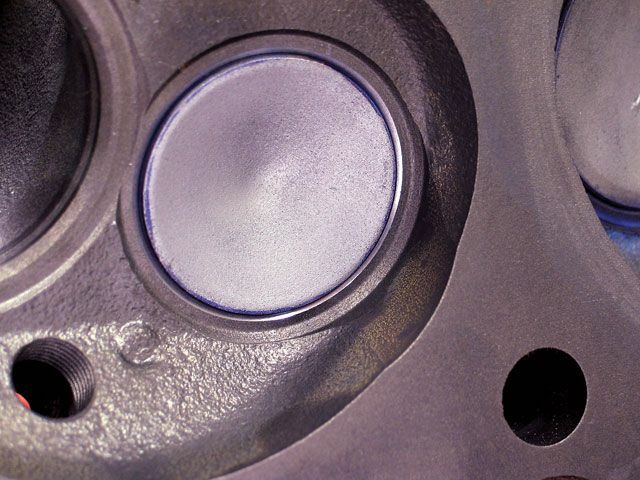 do you have any advice for the valve seats? is there a simple way to protect them so I don't nick them? the die grinders basically a use for a few weeks, and pitch in the dumpster tool,if you use it constantly for dozens of reasons like I do, but they last for long enough that they are a very good value in the shop ,I generally buy 2-3 at a time and can,t imagine not having access as they come in really handy. 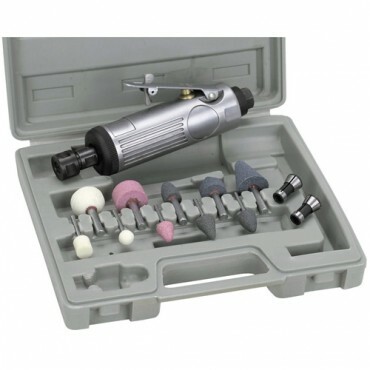 there are some good die grinders on the market, but these less expensive import versions, are a BARGAIN even if they only last for a few weeks or months,under constant use they do wear out in a few weeks or months (especially if you fail to used dry air and don,t bother to lube the tool.) 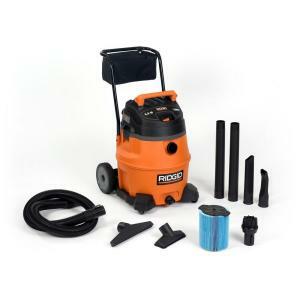 because wet air and moisture tends to cause internal rust/corrosion over time. 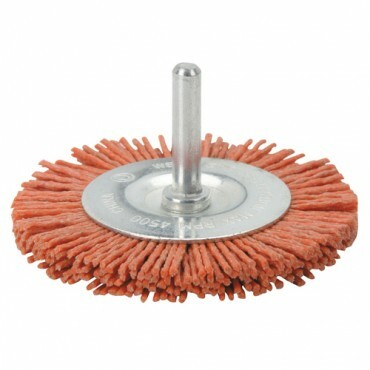 OBVIOUSLY dependent on the amount of use and abuse, I use mine almost constantly for cleaning and porting, de-burring etc. 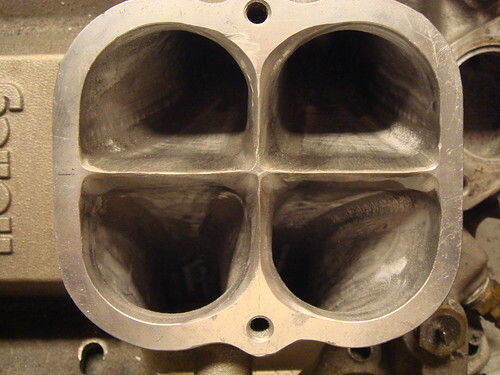 "Headwork entails enlarging the intake and exhaust passages in a head to allow for more flow. Good headwork entails subtle reshaping, not just hogging the whole port out bigger. Generally, good headwork leaves the floors of the port alone since most of the flow activity in a port is near the roof of the port. The roof is the outside radius of the bend going to and from the combustion chamber and by inertia, most of the air wants to flow up there. 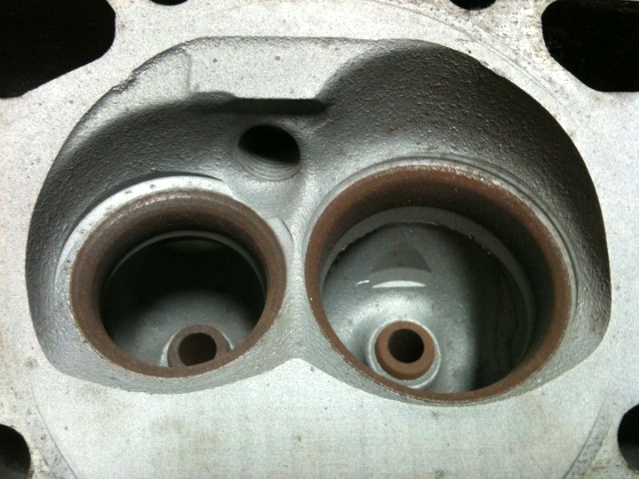 Good headwork usually rounds the floor hump which is the transition from the valve seat to the floor of the port. Stock, this is usually a sharp edge which causes non-laminar (turbulent) flow separation. 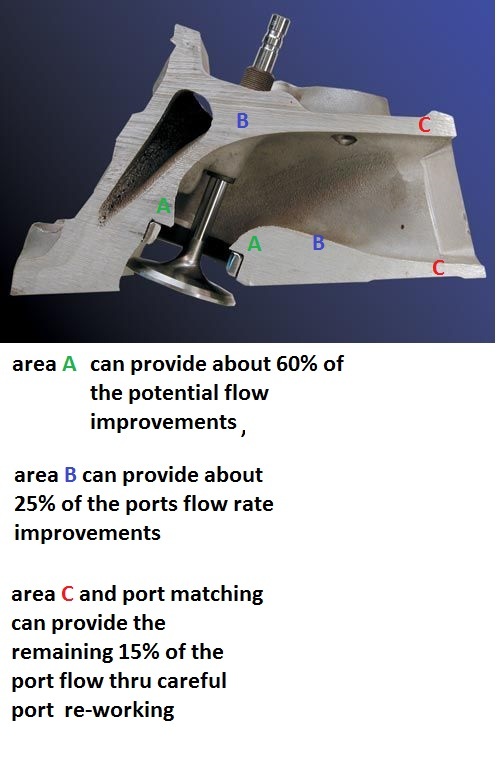 The object of good porting is to increase flow as much as possible while keeping the port volume as low as possible to maintain as high of a flow velocity as possible. Big ports have low velocity at low rpm. This results in a loss of bottom end power due to the lack of energy available in the moving gas column behind the valve. The gas column has inertia which helps fill the cylinder, especially at low RPM. 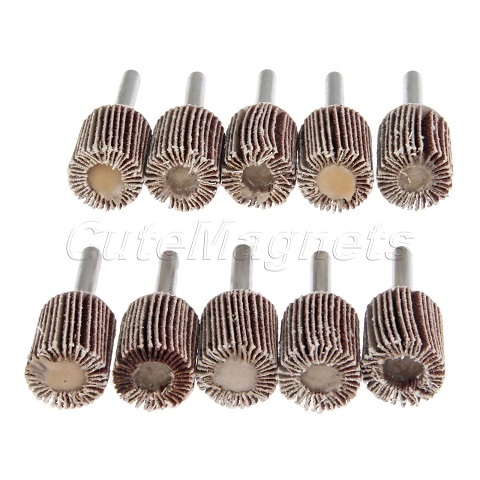 Generally porting your head will cause some loss of bottom end power. 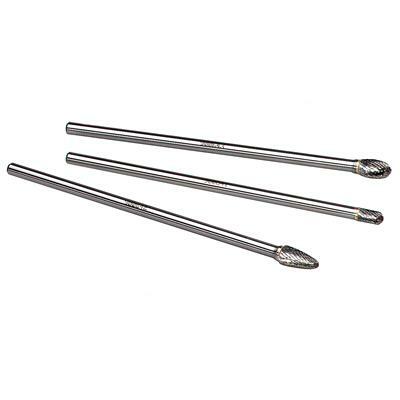 Good head porters might be able to increase flow in the head up to 40 percent with no loss in bottom end but that is usually for American Iron heads which are terrible to start with. Modern Japanese engines donÂft usually see as big gains as their design is much better to begin with. Gains of 10-20 percent are typical with a modern Japanese motor. ALANIZ has taken the time to hopefully educate the sports car enthusiast about certain words and procedures. So lets get started. 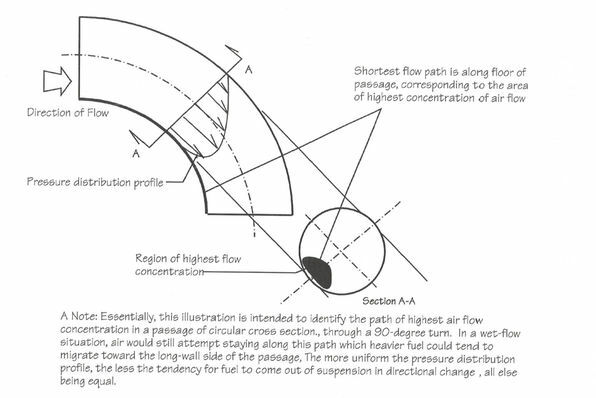 This describes an additional angle added to the valve head to improve flow. 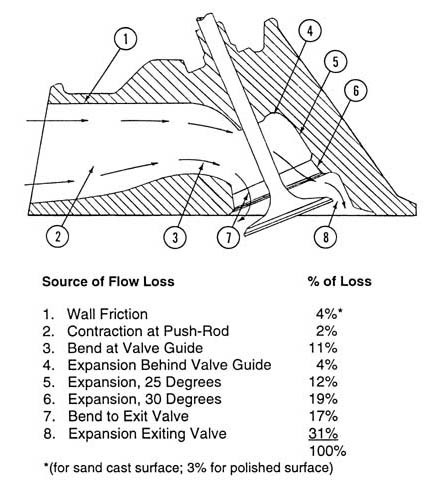 Be aware different angles give different flow results at certain valve lifts. 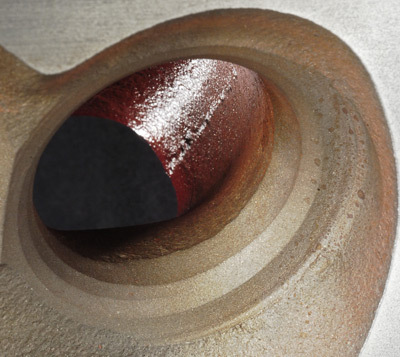 The bottom cut is just as it sounds, the cut furthest into the valve-throat area. This cut opens the throat diameter to mate up with the main seating angle. 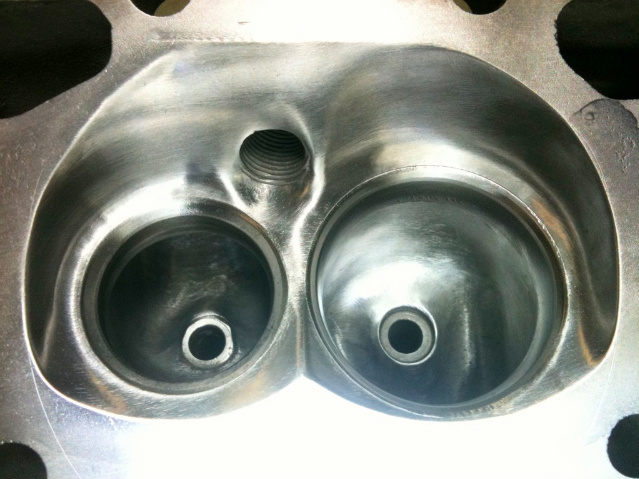 On Honda B16/GSR heads, this angle has the greatest affect on mid to high valve lifts. This is the most important part of porting a head. This place if done correctly will result in good CFM gains. At the same time one wrong move here will result in a head that flows less than a stock. You cant make any mistakes here. Our flowbench testing has shown us what to touch and what not too. Most porters blend the short sides as common practice not realizing some of those edges are what makes the head flow well as we discovered on an Honda S2000 head. Bumps and sharp edges are not bad all the time. Once again flowbench testing helped us determin this. 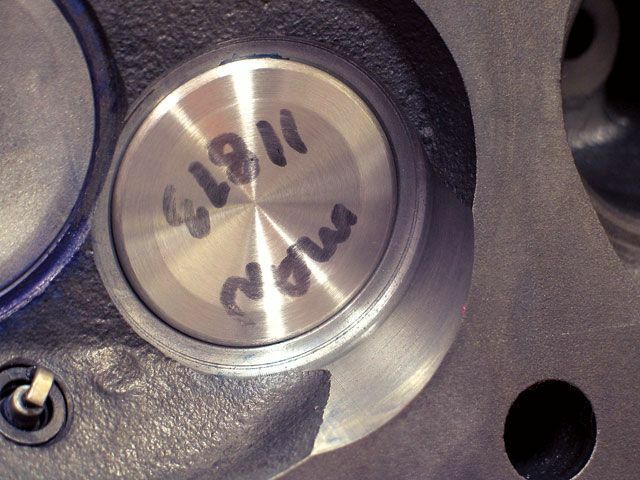 ALANIZ uses special carbide cutting tools/machines to cut the valve seats. Grinding procedures are also performed because we have found carbide tooling doesnt always cut perfectly round on hardened seats. 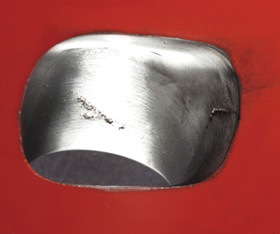 Carbide cutters have a tendency to jump when it comes in contact with hard spots. 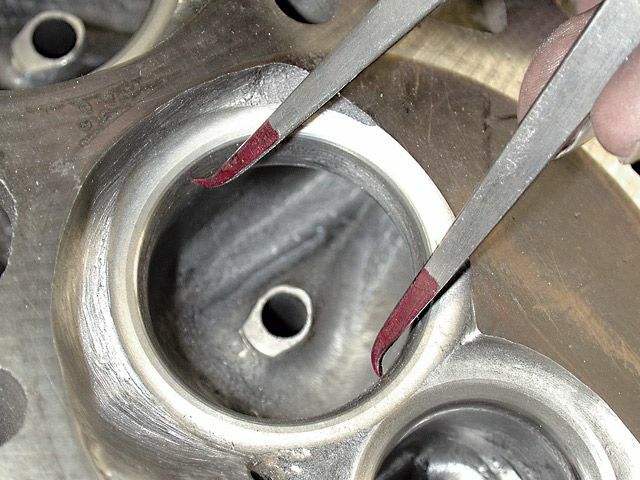 A simple way of checking a carbide cut is place the valve in the seat with no spring and look through the port while holding it with one finger. Look through the port. If you see light you know its not perfectly round. Thats were the stone comes in. We here atÃ‚ ALANIZ always come back and KISS the seats with a finishing stone. The stone grinds away the hard spot leaving you with a perfect seal. 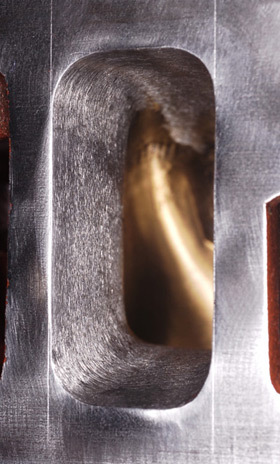 On extreme applications such as supercharged, turbo, NOS engines there is no room for errors. 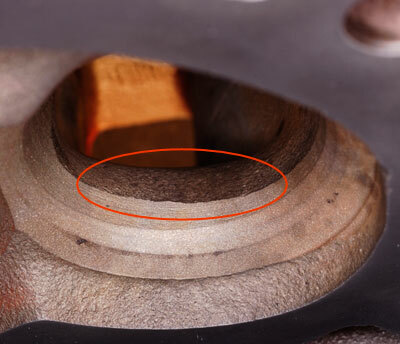 Any gaps in the VALVE to SEAT contact area will result in a burned valve. ALANIZ pays special attention to these areas resulting in leak proof valve jobs. 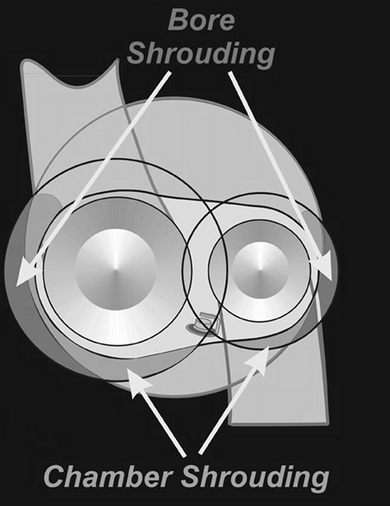 Knowing what angles to use is very important here. 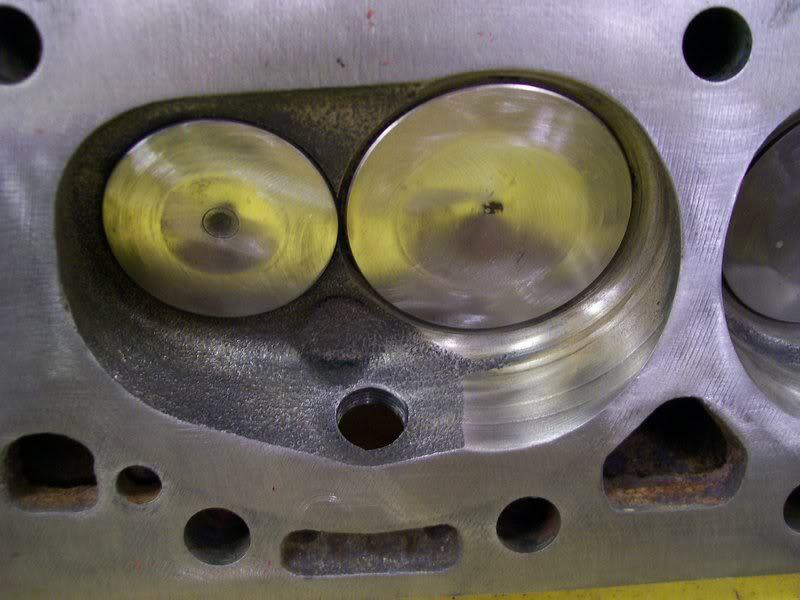 Honda heads are very sensitive to valve jobs. One wrong angle will reduce flow dramatically. 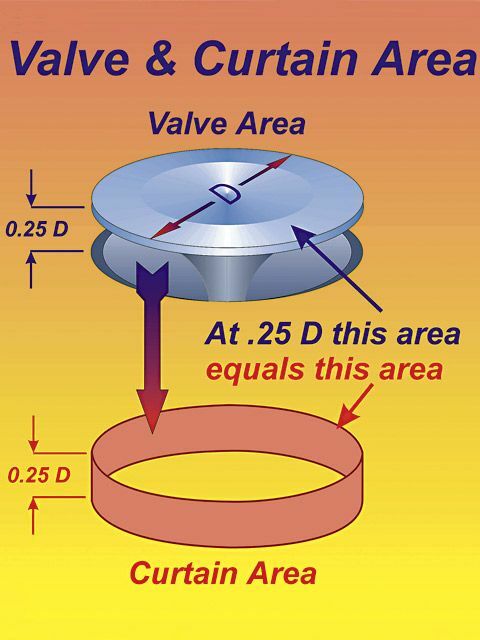 When valve seatwork is performed, it's important to measure the installed height with an indicator. Setting all valves to the same height ensures consistency of combustion-chamber volume and helps equalize spring pressure. A flowbench is machine, which tells you how much air can flow through a port, manifold or throttle body. This machine is the most important tool when it comes to porting. Without one you will never be able to achieve the highest possible CFM gains. All of our porting and valve job experience comes from utilizing a Superflow flowbench. 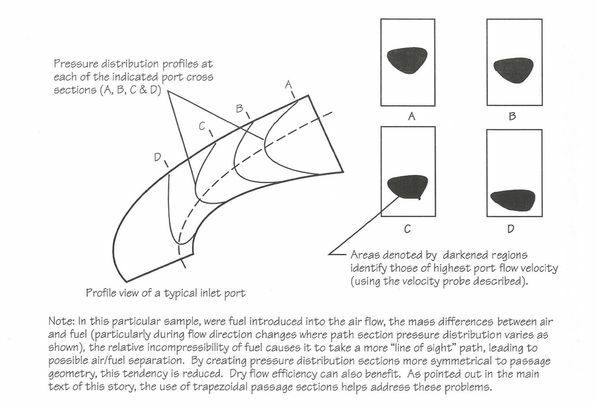 It guides us in the rite direction by telling us if flow is gained or lost while keeping good port velocity. All Competition heads are flowed to make sure they perform flawlessly. ALANIZ heads are flowed @ 28" of water. All this means is equalizing diameters of adjoining runners. E.g. manifold to head. 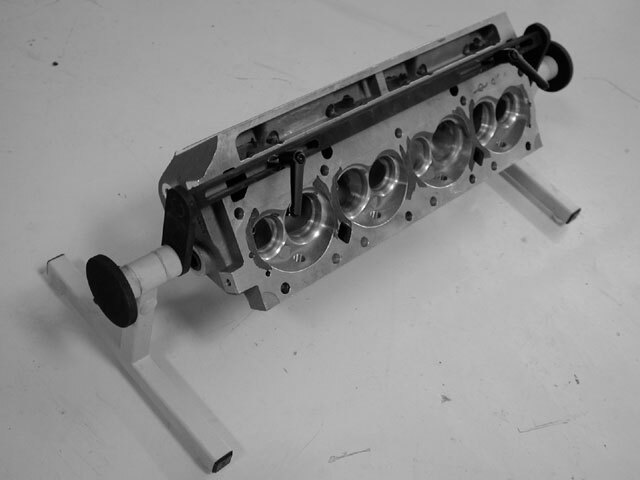 Most modern multi valve head from the factory come almost perfect in respects to the intake side. A light massage is all it needs. 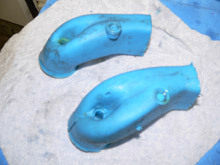 A very light abrasive compound is use to lightly sand the valves into place. 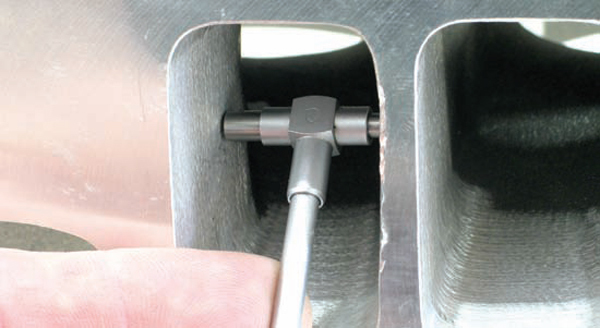 When ALANIZ performs its valve jobs it uses this procedure to check margin thickness and quality. 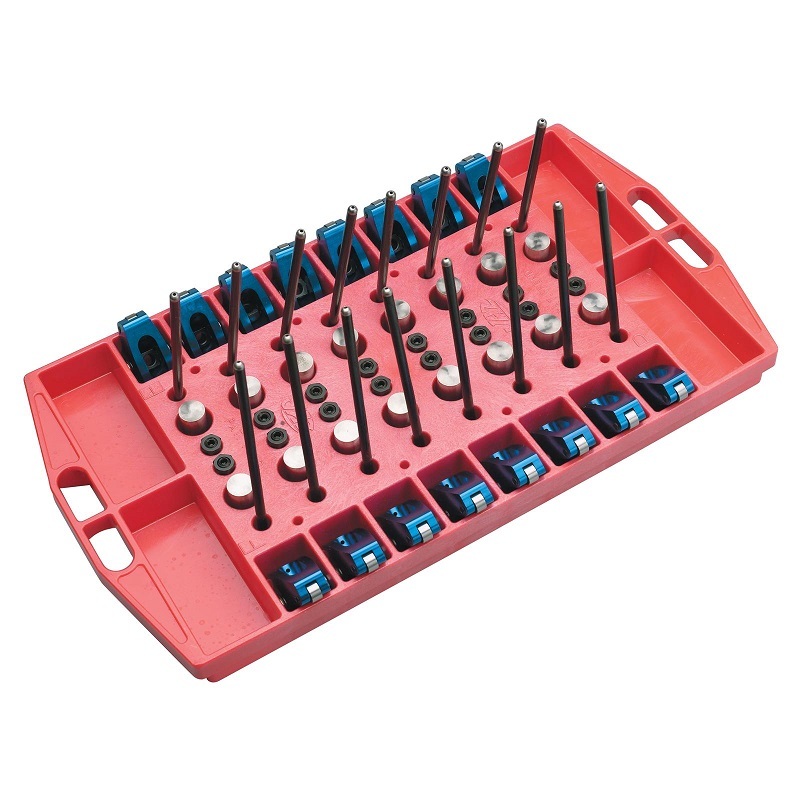 We do not use it to cure an out of round, off center or just plain bad valve job as others shops may do. We vacuum check our work rights after the Valve job is performed then lap the valves in. 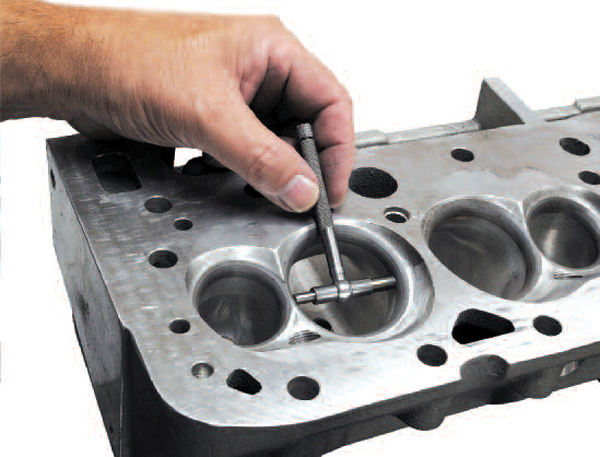 This is a machining process that removes metal from the head-gasket-surface area. 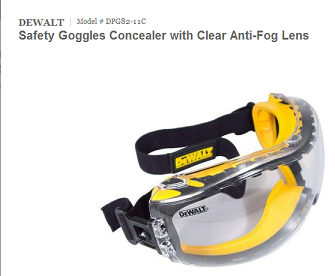 It purpose is to remove imperfections from the head surface. 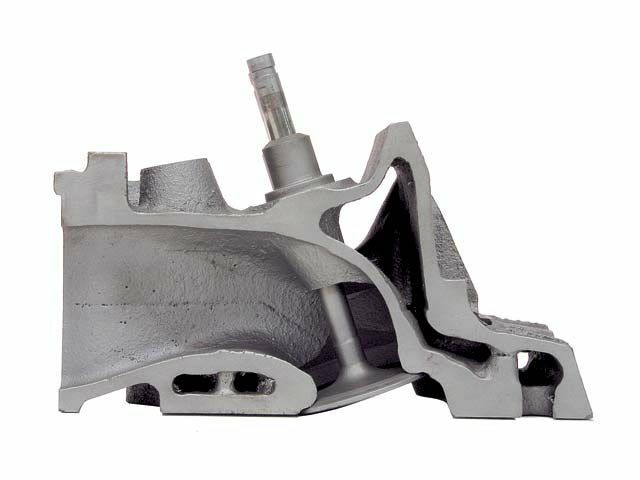 It is also used for increasing the compression ratio of an engine. ALANIZ checks both valve cover surface as well as the head gasket surface to make sure the head is straight before milling. Milling should never done if the head is bent. STRAIGHTEN IT FIRST then mill it otherwise uneven cam journal wear will occur. In a worst-case scenario the cam journal and cam will simply destroy it self. 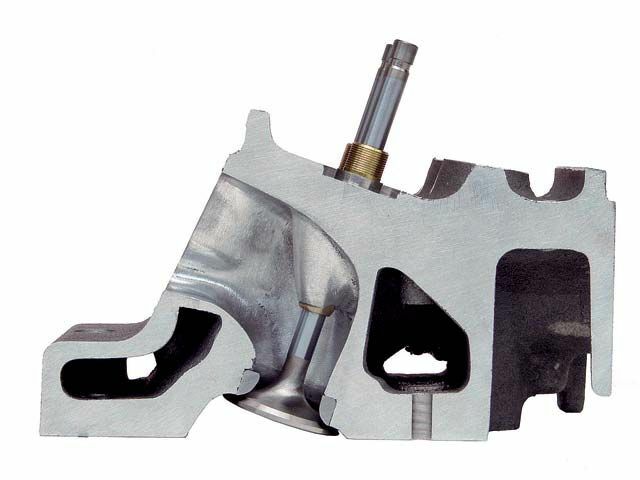 A multi angle valve job is the cutting or grinding of 2 or more angles on the seat and valve. The purpose of a multi angle valve job is to improve airflow. 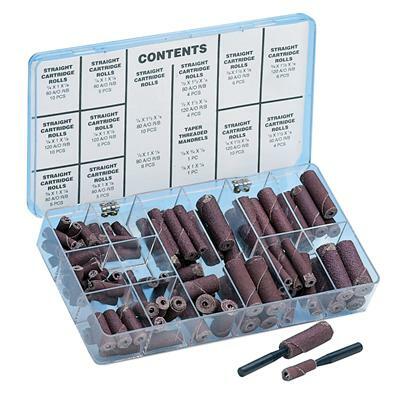 By now you have probably heard of 5 angle and radius valve jobs. The truth, this is more applicable in the American iron heads. There just isnt enough material in the small diameter seats or valves to see any real noticeable differences on a flow bench. A .5% gain maybe seen on a flowbench but the flowbench has a plus or minus error factor that has to be eliminated before a true flow figure can be attained. 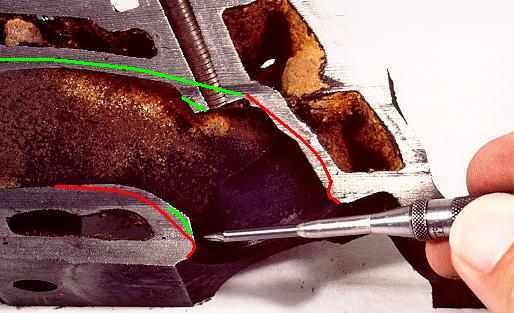 Older American iron heads may benefit from a five angle or radius valve job but only because the head is so bad to begin with. The Honda head is diffrent. 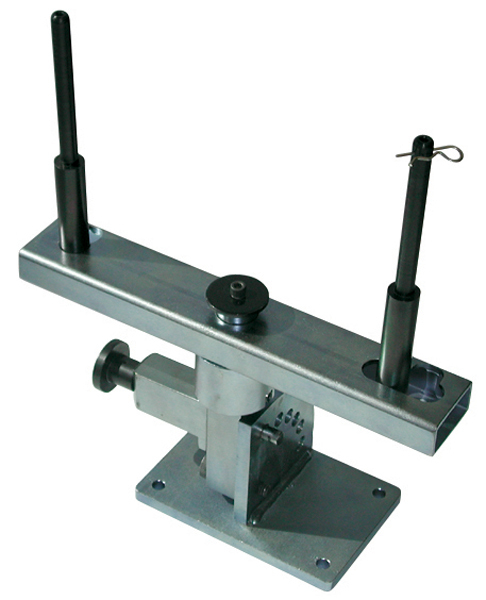 Our flowbench testing has proven time after time that the correct angles and angle widths is what is important. More CFM gains have been made through this procedure than applying 5 angles or radiuses. 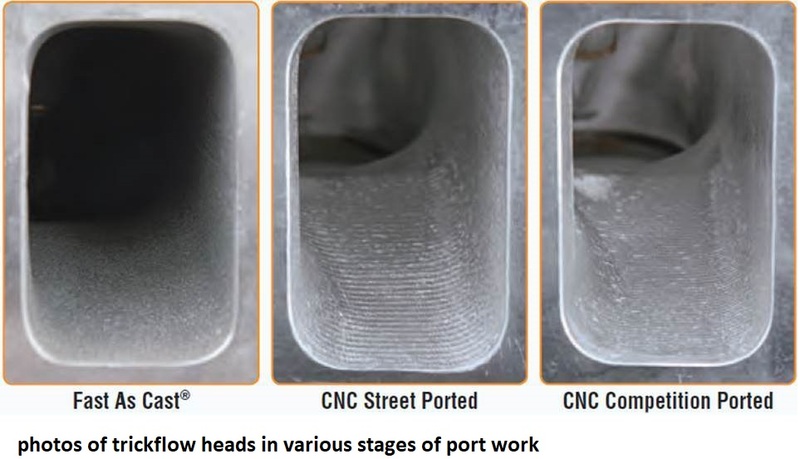 Polishing a port or combustion chamber does not alter the shape or size, but instead smoothes the surface to increase flow and reduce the build up of combustion deposits. On the intake side of an ALANIZ port job we give it a rough polish. Why? Your fuel injectors work in milliseconds. Ever wonder in 8 milliseconds how many degrees your crankshaft has turned if it is operating at 9000rpm? Your crankshaft has turned approx. 450deg. 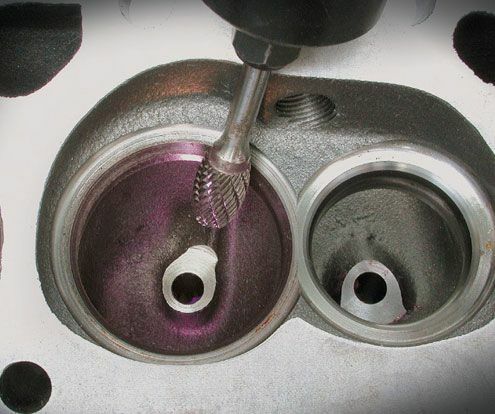 That means your injector has to start firing fuel way before the intake valve has even opened. 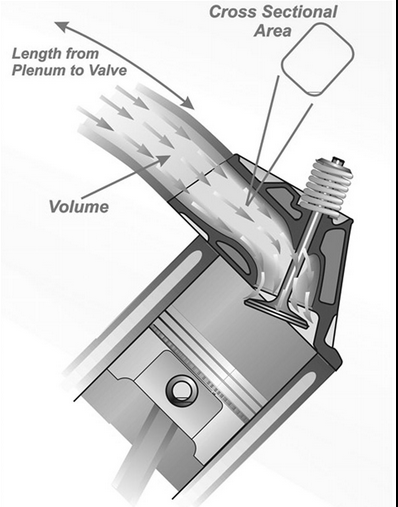 Most of the fuel does vaporize as it hits the back of the valve but the rest of the fuel that doesnt vaporize ends up on the walls, short sides and around the valve area until the valve finally opens and draws in the air fuel mixture. 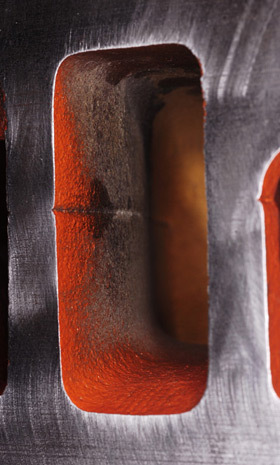 Keeping the walls rough in theory helps break up the fuel particles before it enters the combustion chamber. Atomized fuel burn better resulting in more horsepower and better fuel economy. 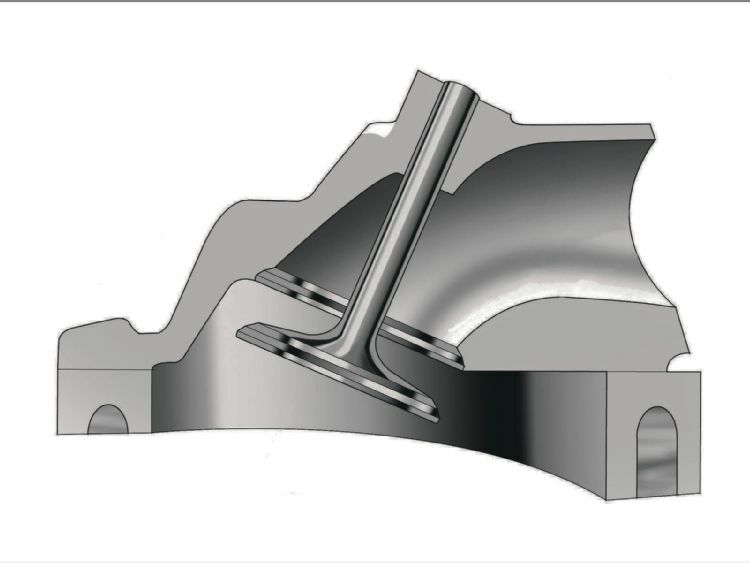 Porting reshapes or enlarges by cutting, grinding, machining or in some cases adding material. This refers to the shorter, tighter side of a turn in a port. 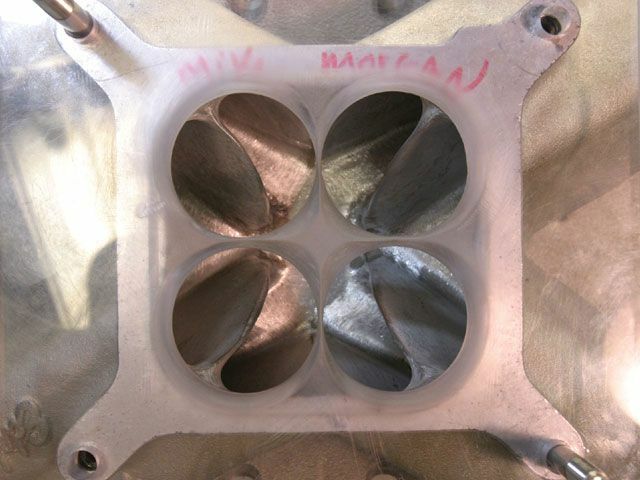 The valve seat angle nearest the combustion chamber. area that if you get correct, you will see major horsepower increases. 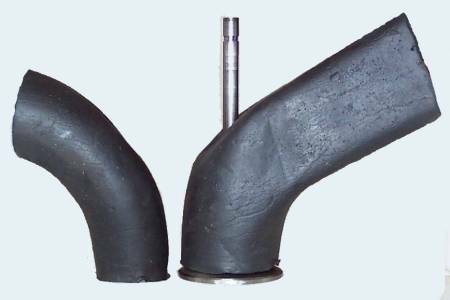 A thick sleeve usually cast iron or bronze which helps guide the up and down motion of the valve. Guides are very important because if worn out they can cause valve instability and consume oil by letting it seep in to the combustion chamber. Running some hot cams? 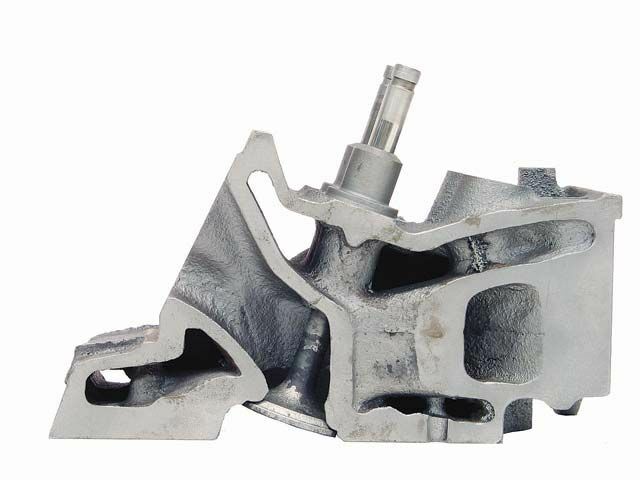 Loose guides will also cause problems during the overlap period when the intake and exhaust valves are closest to each other causing the probability of valve to valve contact. 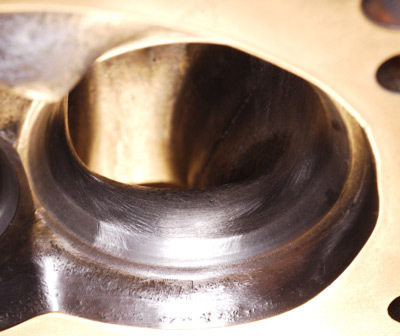 A valve seal is a seal, which helps oil not seep into the combustion chamber. 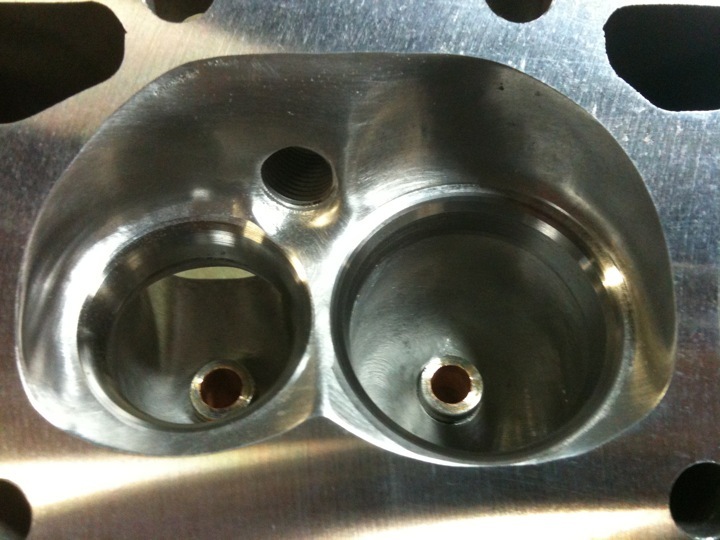 It is positioned on top of the valve guide. 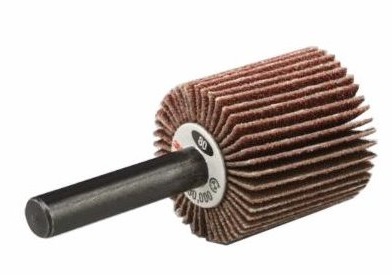 in the picture of your die grinder and porting bits, it looks like you're using a single cut bur. supposedly a double cut bur makes a nicer cut... from the pictures i don't see how much cleaner the cut could be.. but single cut and double cut burs are about the same price. anyways, is the double cut bur really better than a single cut? and what are the drawbacks of using a double cut? if there are any. IVE used BOTH designs and your correct that some burrs cut better than others,all burrs will have a rotational speed they work best at and all burrs work best if cooled during use with cutting fluid or at least occasional & rather frequent stops for dipping in cutting oil, the problem IVE found is that you can,t always find or buy the quality or design of burr you want to. having a decent source of 100 psi ,dry compressed air feeding your air tools is a wonderful thing in a shop, fighting a air tool matched to a compressor that can,t supply enough air is a P.i.t.a. i can't really afford an air compressor setup that will support the use of a die grinder for porting. 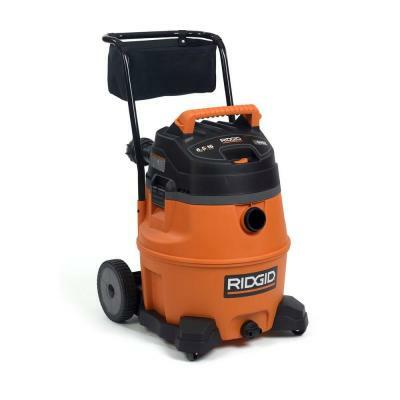 i mean air die grinders use like 3-5 cfm they say, but if im running it for minutes straight.. it will be using 12 - 20 cfm or something like that... an air compressor that can handle that is usually pretty expensive. 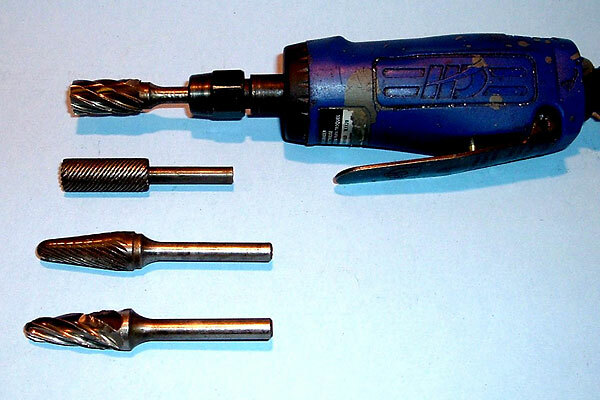 or.. what would be the minimum requirements of a compressor to run a die grinder continuously? 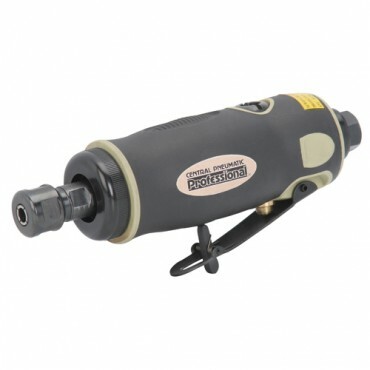 i've been looking at a rotary tool from eastwood that comes with a 1/4" collet and has a 1/3 hp motor.. i have a bench grinder with a 1/3hp motor that is about 10 years old and runs like a champ. 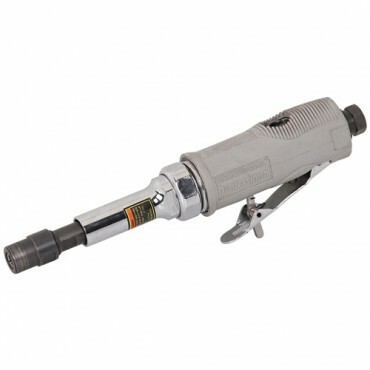 right now i'm just using a drill, but it's been around 20 degrees outside here so it keeps the drill from overheating. once spring hits though, it won't be cold enough for the drill so i'll have to get the rotary tool or save some money up to go the air route. not to mention, the drill really doesn't spin fast enough. 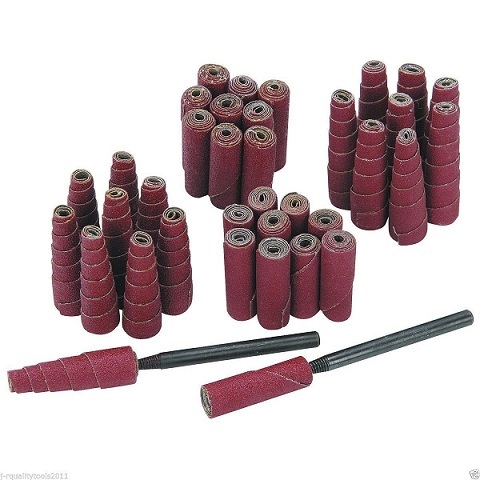 I used an electric porting set-up very similar to that, with the flex feed for my first few set of heads, and while its slow, it will do the job, if your persistent and don,t bear down on the cutter to hard. 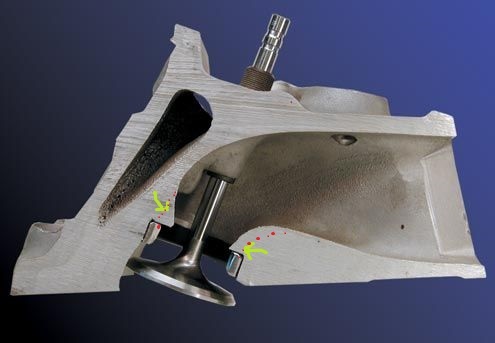 remember the objects to reduce the restriction to flow and smooth out the port some, smooth ridges left by the valve seat machine work,and transition, in direction of flow points, such as the areas under the valve heads and seats but not to remove significant metal in the port walls roof,floor or alter the port significantly in shape or volume. thanks for the link to the electric die grinder, and the gofastnews porting articles are great... they really helped me understand how the shape and size of a port effect airflow.  also, i remember seeing a post on here that had links to grease for the bits, but i can't find it.. i found this on eastwoods site..
is that good or what do you recommend? I have just been frequently dipping burrs in some cutting oil mixed 50%/50% with water, using a spray bottle on the port walls , and a shop vacuum to keep the chips and liquid in the ports minimized,and that seems to work reasonably well, (MESSY, BUT REASONABLY EFFECTIVE). 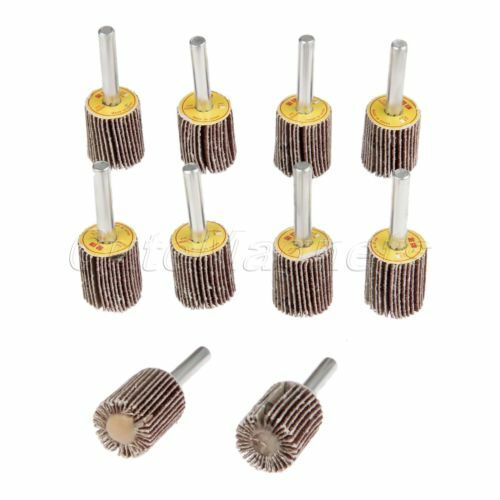 Do the ALUM burrs do any better on aluminum (heads/intake) or will the standard carbide durrs do just as well? 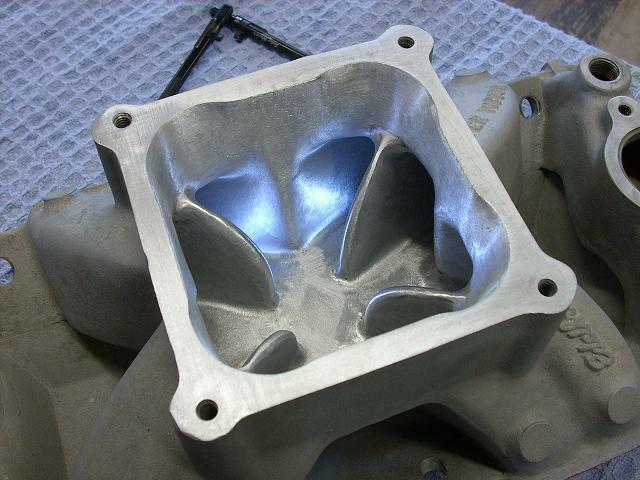 Are there any specific tips doing aluminum heads as opposed to cast iron? One tip I read about (IRRC by Vizard) on electric die grinders was to use a dimmer switch as a speed control.